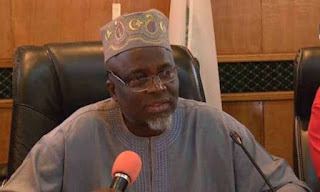 The Joint Admissions and Matriculation Board (JAMB) on has arrested two biological children of an accredited Computer Based Test (CBT) centre owner in Lagos, over alleged examination malpractice. The arrest was made during a monitoring tour of various CBT centres in Lagos State on Tuesday by the board’s Registrar, Prof. Is’haq Oloyede. 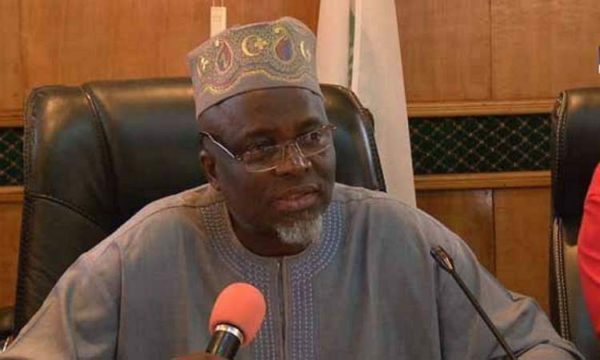 Oloyede said over 100 “professional examination writers” had so far been arrested and handed over to the law enforcement agencies as over one million candidates had so far written the examination nationwide. The arrested children were said to have been caught using their mobile telephones to screenshot questions of the ongoing Unified Tertiary Matriculation Examination (UTME). “We were on our normal monitoring when this alarm came in that this centre, there was an examination malpractice that took place. I was informed that what they did was to take screen shoots of the examination questions, compile them and forward same to some of these tutorial centres which, in turn, used the questions to defraud prospective candidates. Unfortunately they are not aware that we are ahead of them. We have put in place, cutting edge technologies that expose fraudulent practices intended to undermine the integrity of our examination. What they did here was to deliberately disconnect the CCTV, thinking that we would not be able to track whatever happened here through our central CCTV in Abuja. One thing these fraudsters failed to understand is that we do not repeat questions used as far back as four or five years ago, let alone using them for any of the four sessions we deploy per day. These questions have been standardised and so they can never be the same. So you see these kinds of things are happening in Lagos. You can then imagine what happens elsewhere. We will be glad if these fraudsters are prosecuted even if the centre owners are let off the hook,” he said. “You will discover that such a candidate who goes to university with his or her picture is not the same as the one who wrote the UTME neither was he or she the one who wrote the WASSCE. So what is going to happen is for us to find a way of ensuring more synergy between the assessment bodies and the institutions, in such a way that all sharp practices are nipped into the bud. We are also looking at building mega CBT centres for our examinations but this we cannot also achieve alone. We have acquired a piece of land in Osun for that purpose, just as we have done in Abia. We are also trying to get one in Imo as we have high concentration of candidates in these states. We will also encourage genuine private investors who will now be the body that will accredit its own sub groups, just as we will also bring in the Computer Registration Council of Nigeria,” he added.